This is the third part in the multi-part series What home theater is right for me?. The first part explored the basics of what a home theater consists of and how we’re constructing these realistic home theaters. The second part pieces together an affordable home theater for a movie buff. This episode will explore the unique needs for a video gamer. Ostensibly the requirements for a gamer are no different than the movie buff; but the gamer’s system is more fantasy. A movie system is a perfectly sensible luxury sedan while the gaming system is an over-the-top sports car, and for good reason. A gaming system doesn’t reproduce a world created by a film director but is a partnership between a gaming studio and the gamer. The 100% CGI graphics and immersive gameplay don’t have to play by the same rules; a movie uses a “fourth wall” where the audience is observing the action and a game uses first-person or third-person action controlled by the audience in colorful, fantastic environments unlike anything found in nature. Gaming is a social event so you will want to locate the home theater in a room large enough for several people. You will also want a clear 6-feet in front of the TV at minimum to allow for Xbox Kinect, PS3 Move and Wii game play. You will find an area rug or carpeting will be ideal to not only provide traction and comfort for full-body game play, it will also help with sound quality. Considering your gaming system is likely in the largest room of your house or apartment, this is most likely a multi-use room. Unless you’re a lazy bachelor (don’t be that guy), you should appoint your room to be comfortable and attractive. Interior designers use a rule of five lighting types: natural light from a window, overhead lighting from cans or chandeliers, diffuse lighting from floor lamps, upward lighting from table lamps, and indirect lighting reflected off a picture. We won’t go through a whole lecture on that now, just look into interior design tips for lighting, the same rules apply for video gaming. Just keep light from directly reflecting off the TV. What equipment should the video gamer buy? Sticking to the automotive parallel above, the gamer system is the sports car of home theaters. Even the most “uncompromising” sports car is just a compendium of compromise. A car’s frame had to be strong but light. The engine has to be powerful but not too powerful. Aerodynamics have to be efficient but with enough downforce to keep the car on the ground. Because this series is building home theaters on a realistic budget, we’ll start with the first compromise: Screen size. We’ve discussed putting the TV in what is typically the largest room of the home where a 65-70 inch TV should be used in a movie theater setting. Not only are we making a compromise because the room is multi-use and a huge screen would dominate the space, but a smaller screen size will provide the features we’re looking for at a lower price. What features are the gamer looking for? We discussed a plasma screen for movies, and we am tempted to recommend one here, but we’re compromising because the big room has more lighting and games don’t rely on realistic flesh tones (or realistic tones of any type, leaning towards the fantastic), an LCD television will work best. LCD provides higher light output at the expense of black levels. We also did not mention 3D technology in the movie theater, and the recommended display did not support 3D. We’re of the opinion 3D movies are best seen in the cinema, and we were making compromises anyway so that one went by the wayside. However, 3D gaming is compelling because gaming is user controlled the 3D effects aren’t distracting and do provide an immersive world. First person games provide an especially high level of 3D depth. With this in mind we pick a 3D TV. 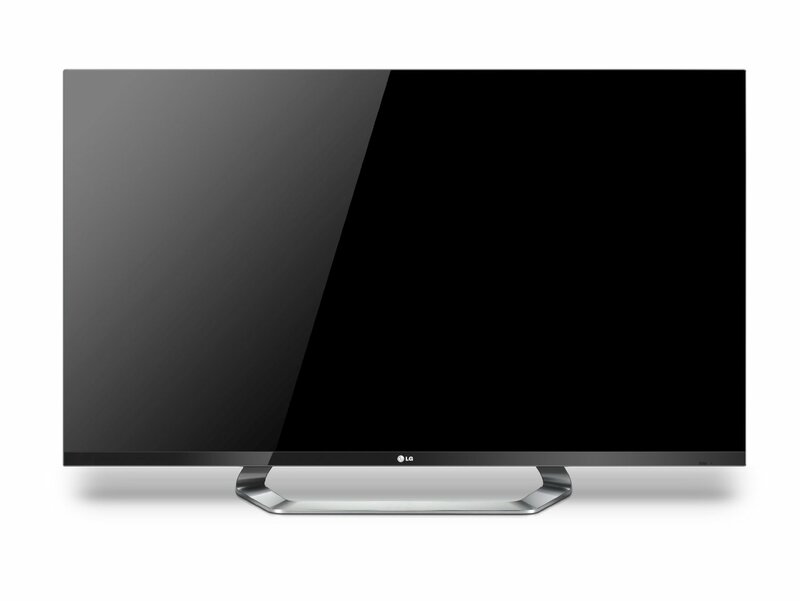 The 3D TV we’re recommending is the LG 55LM7600 at $1,499. This set is 55 inches with passive 3D and comes with 6 pairs of glasses. Because we’ve invested so much in the video portion of this system the audio portion will be a compromise. The game theater surround sound audio will be 7.1 where the movie theater was 5.1 because many more games have 7.1 soundtracks than movies. The Onkyo HT-S9400THX 7.1 channel home theater systems for $779 fits the bill nicely. We can talk about which sources this system should feature, but it should be fairly obvious. These sources have already been mentioned: Xbox 360, PS3 and Wii. Obviously we’re nearing a transition in models to the new Xbox platform, the PS4 and the Wii U is already on the market. We will take no part in the fanboy wars over which system is best, just know that picking one over the other declares certain character flaws. This whole system should cost $2,278 and provide immense pleasure. Save $631 by choosing this Vizio 3D TV instead, sacrificing picture quality and warranty but none of the features.